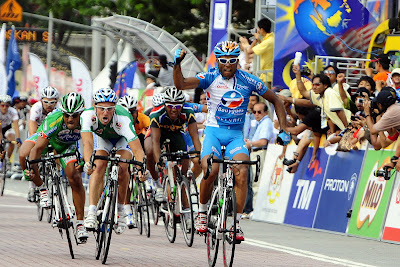 1 February 2012, KUALA LUMPUR - The overall winner of the 2007 Le Tour de Langkawi, Frenchman Anthony Charteau will be back to Malaysia after four years of absence. He’ll lead Team Europcar to a new challenge following their brilliant ride at the Tour de France last year with Thomas Voeckler wearing the yellow jersey in the mountains and Pierre Rolland winning the white jersey of best young rider in Paris. “Le Tour de Langkawi has a special place in my heart”, said Charteau who was underestimated by the favorites in 2007 when he broke away to claim the victory in stage 3 to the Cameron Highlands. He defended his lead with great courage in Genting Highlands and proved later on to be a real climber as he won the King of the Mountain price of the 2010 Tour de France. For two years, he rode for Caisse d’Epargne, but to his displeasure the Spanish team couldn’t line up at Le Tour de Langkawi. Back to his roots with Bbox Bouygues Telecom, now renamed Europcar, he won the Tour of Gabon back to back in the past two years, which kept him away from Malaysia. “But I’ve always wanted to ride Le Tour de Langkawi again despite the long trip from France”, Charteau said. 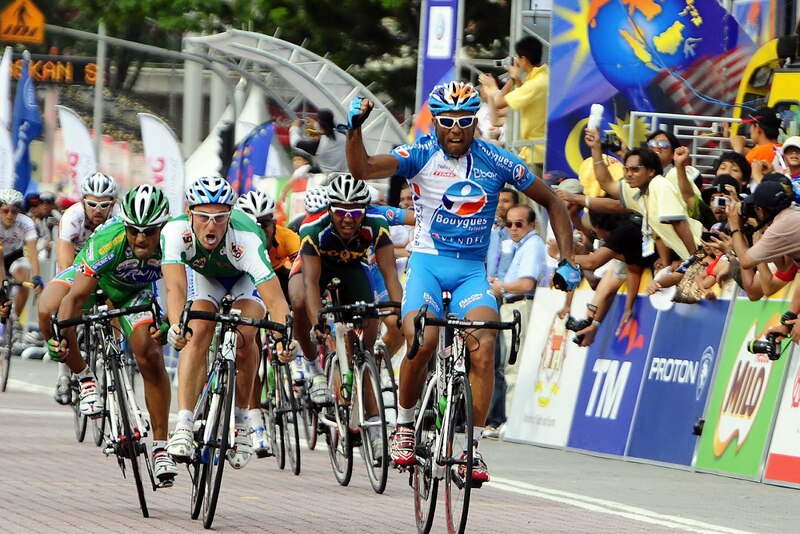 Yohann Gene had the same feeling after winning the last stage in Dataran Merdeka, Kuala Lumpur, in 2009. “Malaysia has the same kind of hot and humid climate as Guadeloupe where I come from”, said the 30 year old who became the first Frenchman from the Caribbean Islands to take part in the Tour de France last year. 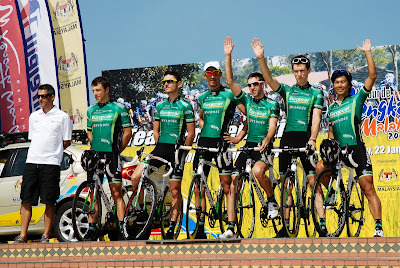 Gene might be the lead out man for Europcar’s Italian recruit Matteo Pelucchi who is the team’s new sprinter from Italy. The French team also comes to Malaysia with a specialist of time trial, Jérome Cousin, and one of the country’s most promising riders, the 2008 European champion for the U23 road race Cyril Gautier who has been a member of the successful Tour de France team alongside Voeckler and Charteau in the past two years. ANTHONY CHARTEAU, MATHIEU CLAUDE, YOHANN GENE, JÉROME COUSIN, CYRIL GAUTIER (ALL FRENCH), MATTEO PELUCCHI (ITA).